Lady Gaga won three awards at the Grammys this year but her biggest achievement was certainly become biggest meme. Gaga nailed the show at Grammys with her solo rendition of “Shallow”. She sang both her and Bradley Cooper’s parts from the song along with Mark Ronson and the rest of the “Shallow” co-writers. 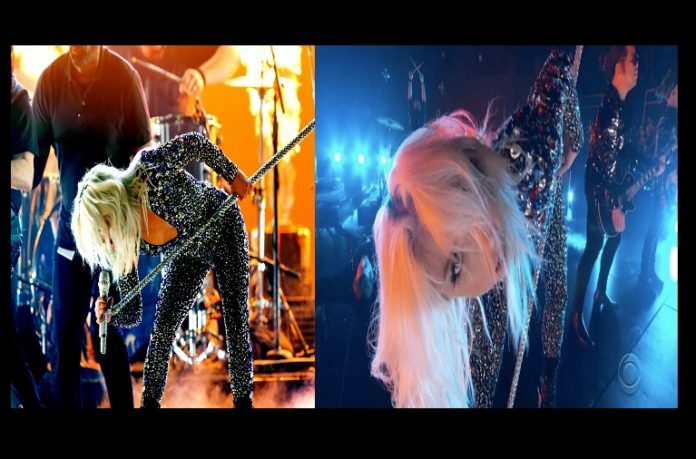 At the end of her shinning “Shallow” performance, she bended awkwardly staring into camera with her head tilted sideways giving a horrifying stare into the camera. “A Meme Was Born” after her zombie-like stills becomes viral on tweeter. Gaga fans had a different take on her deadly stare.